In 2011, the Wilmington Blue Rocks partnered with Rowan Radio, 89.7 WGLS-FM to broadcast all 140 Carolina League games and potential playoffs. The Rocks Report Pregame Show, presented by Wawa, hits the airwaves 30 minutes before first pitch for all Blue Rocks broadcasts. It will include a look around the Royals organization, the Carolina League, interviews and more. Each broadcast will conclude with a post-game program recapping the contest, reaction from manager Darryl Kennedy, and scores from around the CL, the Royals farm and Major League Baseball. To listen to Blue Rocks Baseball on 89.7 WGLS-FM, click here. Now you can catch all the action over the phone by dialing 856-226-7049! Rowan Radio now has a mobile app to listen from your smartphone! Just go to wgls.rowan.edu on your smartphone and the player will come up. It's free! data per hour if using a phone data plan. 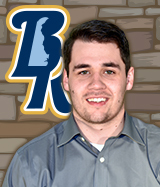 Matt Janus enters his sixth year as "The Voice of the Wilmington Blue Rocks" in 2018, but he has been a staple of the organization for well over a decade. Janus began working for the Blue Rocks as a 15-year-old sophomore in high school when he sold yearbooks and scorecards. He moved to the marketing department during college, and then joined the media relations staff as the team's Assistant Director of Broadcasting and Media Relations in 2009. After three years as the organization's No. 2 broadcaster, Janus was promoted to New Media Manager prior to the 2012 season, at which time he served as emcee of the team's in-game promotions, as well as designed and implemented the franchise's social media strategy. The 33-year-old Middletown, DE native is a familiar voice in the First State. On top of his stint on the Blue Rocks Radio Network, Janus also broadcasts games for his alma mater, the University of Delaware. He currently does play-by-play for the Delaware women's basketball team, and provides color commentary for select men's basketball games. Janus served as the color commentator on Blue Hen football radio broadcasts from 2013 to 2017. He was named the 2014 and 2017 Delaware Sportscaster of the Year by the NSSA and has been a finalist for the award on six other occasions. Janus also provides play-by-play during television broadcasts of college football and basketball for FOX Sports, the Big East Digital Network, CAA.TV and the American Sports Network. He currently resides in Ridley Park, PA with his wife Kaili. Cory Nidoh enters his second season with the Blue Rocks and fifth in Minor League Baseball. During his broadcasting career, the 25-year-old has traveled the length of the East Coast making pit stops in Sanford, Maine, and Daytona Beach, FL. Before joining the Blue Rocks, he was the Assistant Director of Broadcasting and Media Relations with the Daytona Tortugas (Class-A Advanced Affiliate of the Cincinnati Reds) in the Florida State League during the 2016 season. There, he provided play-by-play and color commentary for all 70 home games and hosted the pre-game and post-game shows all season long. 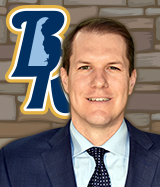 In addition to his Blue Rocks duties, Nidoh works for 94.7 FM WDSD and 1290 AM The Ticket serving as the radio sideline reporter for the University of Delaware Football program and providing play-by-play for select University of Delaware Men's and Women's Basketball games. Nidoh is a proud graduate of East Stroudsburg University (PA) and earned a B.A. in Broadcast Journalism. In his spare time, Nidoh enjoys playing the drums, watching the New York Yankees and Tennessee Titans during their respective seasons and going to the beach. Born in Clifton, NJ and raised in Scranton, PA, Nidoh has moved to Delaware County and is happy to bring Blue Rocks Baseball to the fans each night. The 750-watt signal blankets the Delaware Valley, including parts of Philadelphia, making for a potential listenership approaching several million people. All games will be run truly live, without a broadcast delay, giving fans in the park at Frawley Stadium the opportunity to listen on their headsets to each moment as it unfolds in front of them. Also, every game will be streamed online allowing anyone in the world to enjoy Blue Rocks baseball on the radio. WGLS-FM has captured nearly 200 national and regional awards in recognition of its broadcast content since 1993. Already a sports force in the area as the home of the Profs, Rowan University's NCAA Division III national-power varsity programs, the station will now add live play-by-play of full-season Advanced-A professional baseball.